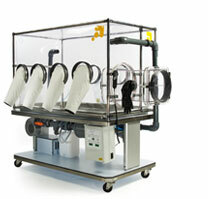 Arrowmight are market leaders in providing innovative solutions for biotechnology and pharmaceutical applications. Our extensive knowledge and expertise in the use and design of isolation equipment, ensures we provide our customers with products to suit even the most demanding requirements. Products are built from high quality materials, using the latest manufacturing techniques, whilst ensuring equipment reliability with low servicing and maintenance costs.